I have always adored traditional Mayan textiles, especially huipils. 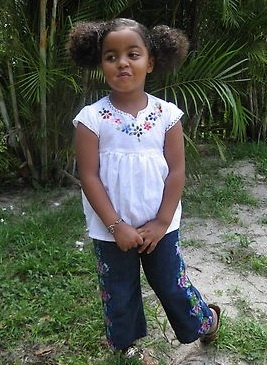 Chi Chi Amor takes huipil and corte fabric from Guatemala and repurposes it into beautiful children’s clothing. Handmade by small family groups, Chi Chi Amor’s unique clothing are perfect for eco-conscious, globally-minded families. I particularly love the worry doll pants. These sweet pants are made from the traditional Mayan corte skirt fabric. Beautiful embroidered flowers adorn the pant legs, and a special surprise of worry dolls reside in the pockets. If you are not familiar with worry dolls, they are small Guatemalan folk dolls that are used to ease children’s anxieties. Children who have trouble going to sleep can tell the doll their worries, place them under their pillow, then rest peacefully as the doll does the worrying for them. With all of the anxiety of childhood, having worry dolls in one’s pockets would be handy to deal with the rational and irrational fears of life. Chi Chi Amor is another green company founded by moms! Supporting families here and abroad while repurposing beautiful Mayan fabrics makes Chi Chi Amor a unique company. As a weaver, I truly appreciate the upcycling of traditional textiles into children’s clothing and toys. What beautiful clothing and a beautiful concept! I love, love, LOVE this…the ‘worry concept’ alone is worthy of a blog post for Shaping Youth…Thanks, Jennifer for pointing this out! I’ll put it in the queue and linkback to ECP, as this should be supported big time!